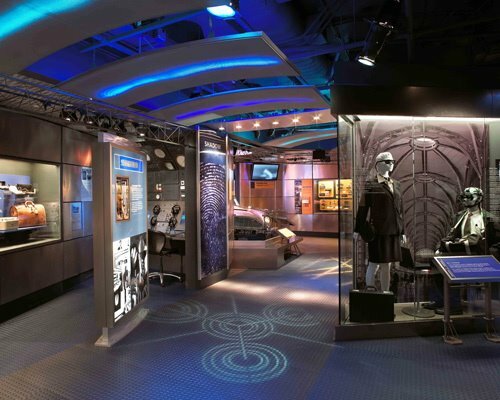 Spy Museum - Your Mission: Learn the Craft of Espionage Through Top-Secret, Interactive Exhibits. In an age of Google, YouTube and Sony's PlayStation, museums have to work a lot harder to make subject matter culturally relevant to young people. 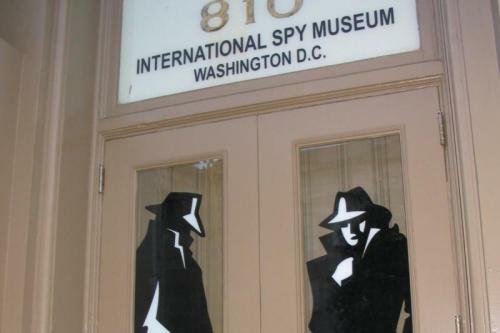 The International Spy Museum is the only museum in the United States dedicated to the world of espionage, where you can learn how a spy operates. Visitors to the interactive “School for Spies” can simulate aerial surveillance missions over Soviet shipyards and those who stop in at the “Operation Spy” will be able to team with others in a top-secret mission of audio decryption, safe cracking, and polygraph testing. School for Spies - You'll learn how spies disguise themselves with fake hair and face-altering makeup and how Hollywood helped develop ingenious disguise techniques for the CIA. Some of the family programs include workshops on disguise-making, as well as on making and breaking secret codes and inventing concealment devices. Upon your arrival at Washington, D.C.'s International Spy Museum, you'll adopt a "cover" and receive a new identity. You'll need to remember this information to see how well you perform as a spy, particularly when border guards throughout the museum interrogate you. On display are classic hidden spy craft tools such as buttonhole cameras, lapel knives, lipstick pistols, and hollowed-out coins concealing microdots. Historical exhibits discuss espionage techniques used in the past, when spies shot secret messages into forts using bows and arrows and hundreds of thousands of pigeons flew secret messages across enemy lines. 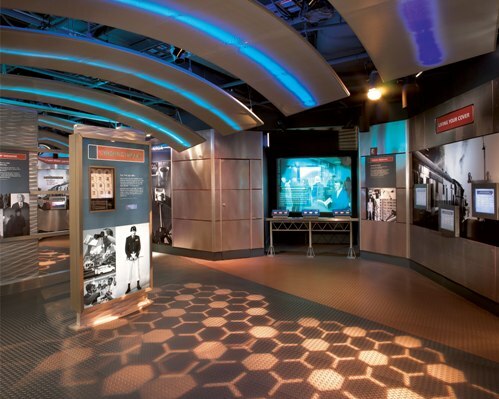 Other exhibits include a re-created tunnel beneath the divided city of Berlin during the Cold War and an exhibit on escape and evasion techniques in wartime. 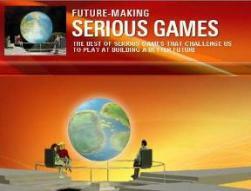 You’ll see weapons, disguises and even a "fully loaded" getaway car, and test your spy skills with computerized games. 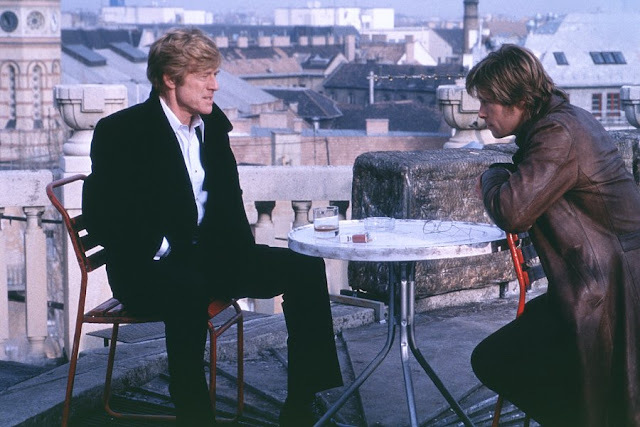 It's no secret that the nation's spies have been working to improve the quality of their analysis. Now the top U.S. military intelligence agency has come up with a new tool for teaching recruits critical thinking skills: Serious Games. Wired.com had an opportunity to play all three games, Rapid Onset, Vital Passage and Sudden Thrust. The titles may conjure images of blitzkrieg, but the games themselves are actually a surprisingly clever and occasionally surreal blend of education, humor and intellectual challenge, aimed at teaching the player how to think. 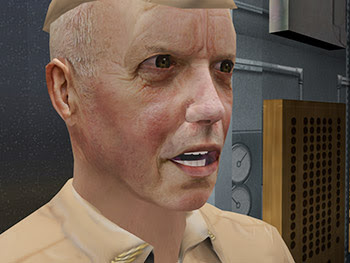 All three games put the player into the shoes of a young, eager but sometimes hapless DIA analyst. Rapid Onset can best be described as Zen Buddhism meets the National Intelligence Estimate. It begins with the rookie analyst dreaming of meeting a white-robed guru on a mountaintop. 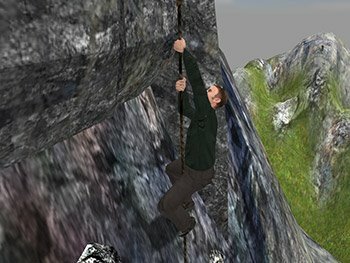 The guru proceeds to throw him off the mountain; clinging to a rope, the analyst can only climb back up if he recites the Eight Questions of Intelligence Analysis. 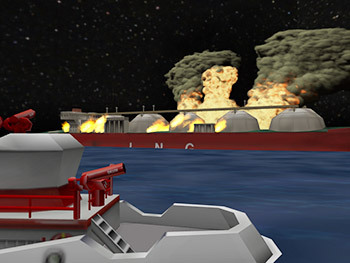 The second game, Vital Passage, is a whodunit that begins with scenes of a tanker under attack in the Persian Gulf during the Iran-Iraq war in 1988. The question is, who attacked the tanker and how? In a reminder of the dangers of jumping to conclusions, our young analyst finds himself in a conference room full of bickering colleagues, each stridently advocating his or her particular theory (It was Iran! No, It was Iraq! It was a missile! No, it was a torpedo!). Our hero must use the approved analytical process to analyze and choose among competing hypotheses. 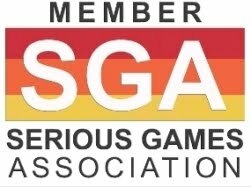 Written by Hollywood screenwriter David Freed, Sudden Thrust is the closest of the DIA trilogy to an action-packed videogame. Our analyst finds himself in a crisis situation when terrorists sail a hijacked natural-gas tanker into New York Harbor. 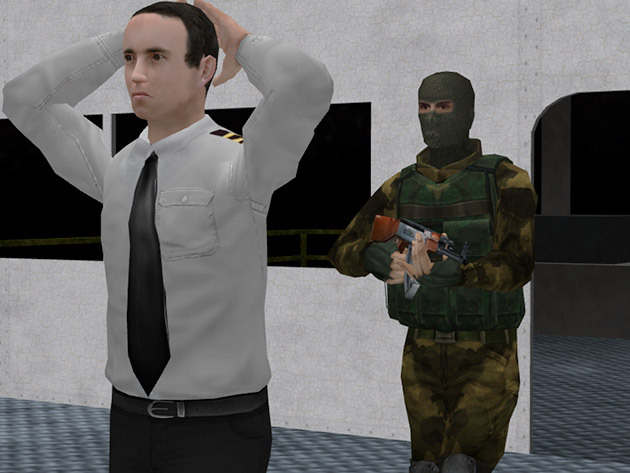 Despite limited and inconclusive information, he and his colleagues must determine what the terrorists are up to, and send the analysis to the secretary of defense. 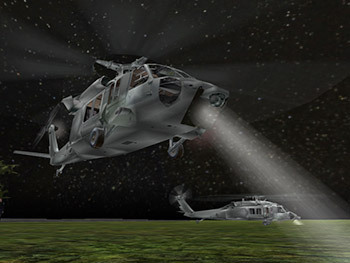 Sudden Thrust has scenes of helicopters and Navy Seals, but those are just atmospherics, like spooky music during a horror flick. The goal of the games is to focus players on epistemology, or how we know what we know. As our hero's boss puts it, "In our business, conjecture is a four-letter word." Each game only takes about 90 minutes to three hours, and has multiple story lines that branch depending on a player's actions. All DIA analysts will eventually play them, from rookies to old hands who will use them for refresher training. The DIA has about 2,000 analysts, but the agency has been tasked with training another 2,000 in the U.S. military combatant commands, many of whom work overseas far from training facilities. With classroom space and instructors at a premium, Bennett estimates that every hour spent training with a game saves one hour of classroom instruction, plus travel time and expense. 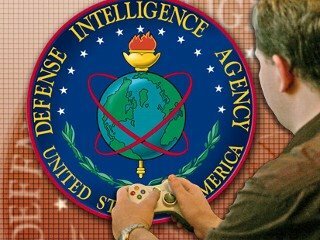 The next step is to figure out a way to use gaming technology for training in working with other agencies -- an oft-noted weakness within the intelligence community. 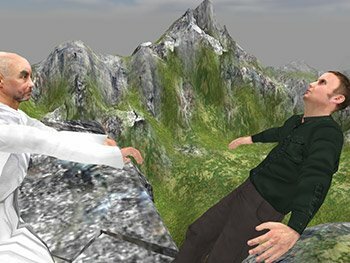 "Maybe it's pie in the sky, but can we link multiple computers, so that I can have eight or 10 people in the room playing the same game," Bennett says. "I can be the DIA guy, someone else in DIA can play the CIA guy, and somebody else can be an FBI or a DEA person. If we don't share information, we lose the game."